Cuba’s communist propaganda newspaper Granma has published an article claiming that President Barack Obama’s scheduled visit to Havana in March “disproves” decades of evidence that the Cuban government violates the human rights of its citizens, on a weekend in which Cuban state police arrested almost 200 dissidents for peaceful marches against communism. Granma also claims that President Obama’s decision to endorse the legitimacy of the Castro regime with his presence dismantles the allegation that “the ultra-right in Miami, especially legislators of Cuban origin, had totally held hostage the United States’ politics towards Cuba.” Cuban state propaganda often insults ethnic Cuban voters in Miami as “ultra-right” extremists, using terms like “the Miami Mafia” in an attempt to alienate Republican-leaning voters in the region. Cuban-American voters in Miami have also been consistently mocked and derided in American left-wing media, particularly the cable news pundits associated with NBC. President Obama is expected to meet with dictator Raúl Castro and “other Cuban people” during his visit, though it remains unclear whether he will be present in meetings with Cuban civil society or pro-democracy activists. Whether any of Cuba’s most prominent dissidents will be out of jail during President Obama’s visit remains to be seen. If this weekend is any indication, there is little hope that the leaders of dissident groups will be allowed to attend events involving the President. Various dissident groups, including the Patriotic Union of Cuba (UNPACU) and the Ladies in White, staged multiple events across the island this weekend. More than 170 dissidents were arrested, including dozens of Ladies in White arrested for attending Sunday Catholic Mass. An estimated 40 Ladies in White are still in custody after their prayer march in Havana. The silent marches against the Castro regime this week were dedicated to Orlando Zapata Tamayo, a prisoner of conscience who died during a hunger strike in 2010, and the four men killed in 1996 when the Cuban government shot down a plane belonging to the pro-democracy group Brothers to the Rescue, which included one U.S. citizen. According to the NGO People in Need, President Obama’s efforts to warm up to the Castro regime have significantly deteriorated conditions for dissidents on the island. “There has been no substantial improvement in regard to human rights and individual freedoms on the island. 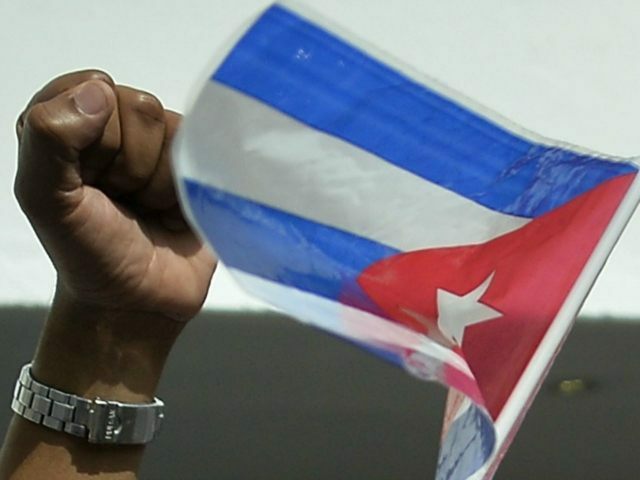 … [The Cuban government] has adapted its repressive methods in order to make them invisible to the scrutinizing, judgmental eyes of the international community, but it has not reduced the level of pressure or control over the opposition,” the group said in a report in December.